Triumph, UK’s premium brand of motorcycles, has recently launched its cafe racer Triumph Thruxton R in the Indian market. The Thruxton R is priced at Rs. 10.9 Lakh (Ex-showroom, New Delhi). Popular celebrity and biker Gul Panag attended the launch event. This cafe racer is the third and final bike of the 2016 line-up in India including Street Twin and Bonnville T120. Triumph Thruxton R: What’s New? 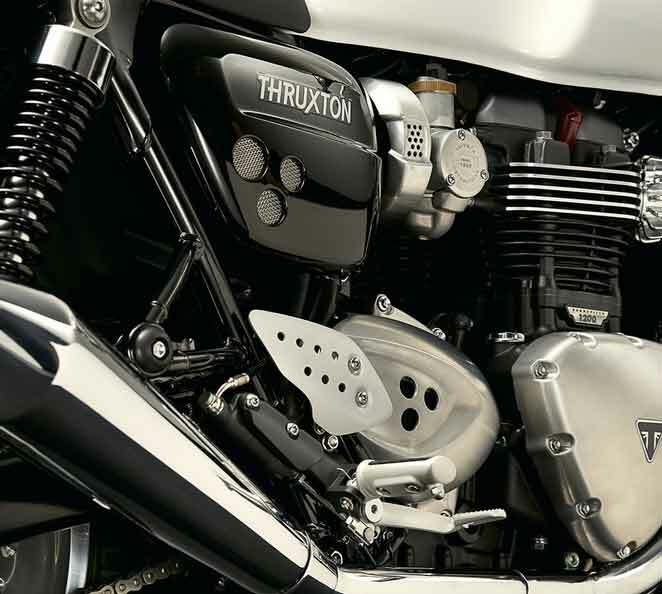 The Thruxton R is powered by an 8-valve, 1200 cc, parallel-twin, liquid cooled engine producing 97 Ps and 112 Nm of torque. Although it is the same engine from the Bonnville T120, this time it is fitted with a light and 'Low inertia' crank making it run smoother. It also features twin throttle bodies with fuel-injection. Power is transmitted to the rear wheel by a 6-speed gearbox. 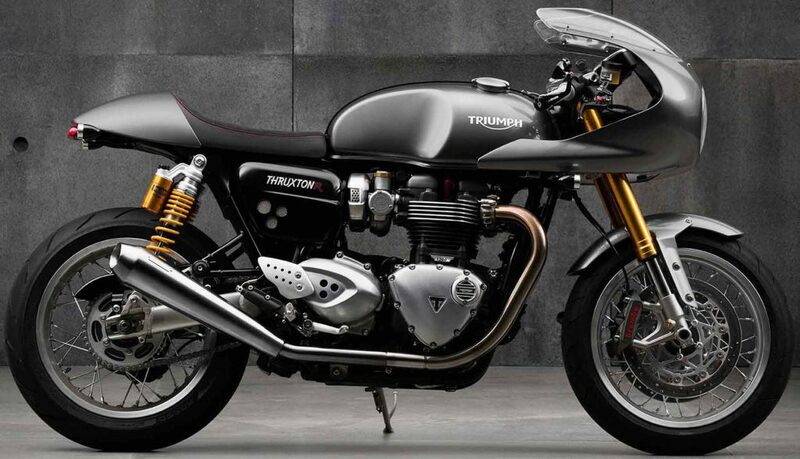 Thruxton R is equipped with the latest technological features such as ride-by-wire. There are three different riding modes - rain, road and sport. The bike also has advanced features such as torque assist clutch, switchable ABS and switchable traction control. This powerful bike is controlled by the twin floating Brembo discs with monobloc callipers at the front and a single disc at the rear. Suspension duty is done by Showa big piston forks at the front, while the rear suspension comprises of fully-adjustable Ohlins twin-shocks. On the styling front, Triumph Thruxton R gets all-new headlights with LED DRL, LED tail light and 3D twin clocks (speedo & rev counter) on the instrument panel. The digital menu system can be accessed by a handlebar mounted, finger-tip controlled scroll button. The bike is also equipped with an engine immobiliser for security and the under-seat USB charging socket. The suspension too comes painted with gold colour, giving the bike a premium look. The Thruxton R will be available in two colours – Diablo Red and Silver Frost.